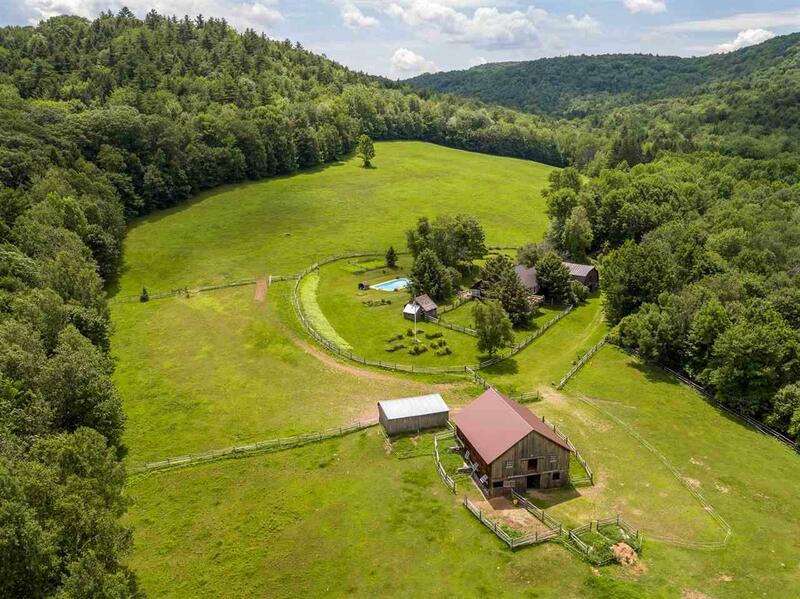 Magnificent private horse farm sits on 20+ acres on the side of Mnt. Ascutney at the top of a dead-end road abutting the town forest. 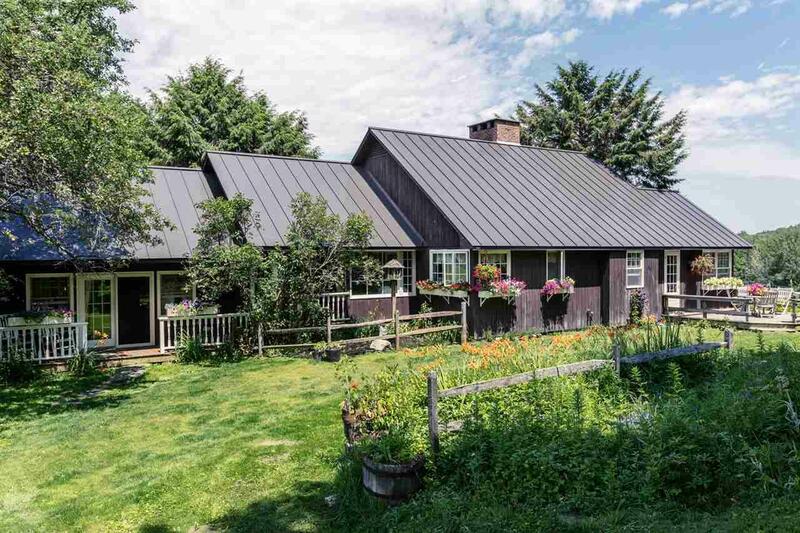 Classic style cape has a covered porch, decks, garage, outbuildings, two barns (13 stalls), and a run-in shed. Lets not forget the private in-ground pool facing directly up the mountainside! 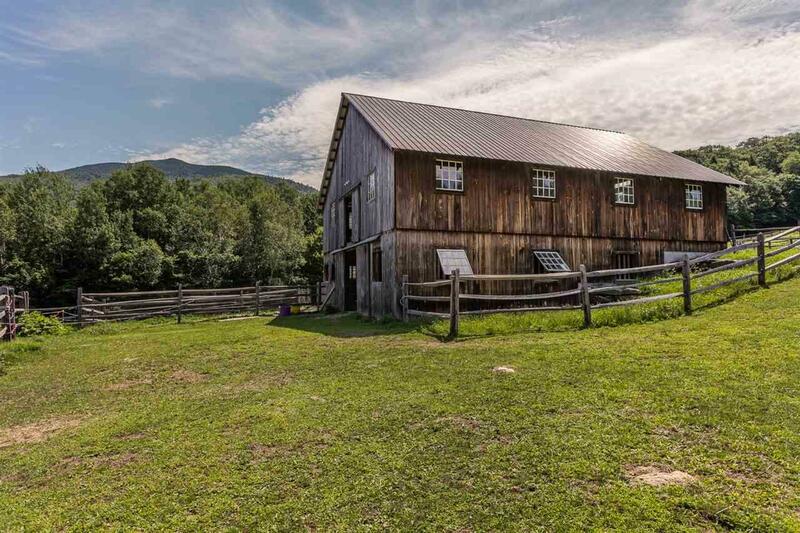 This farm is on the Mt Ascutney Trail system. 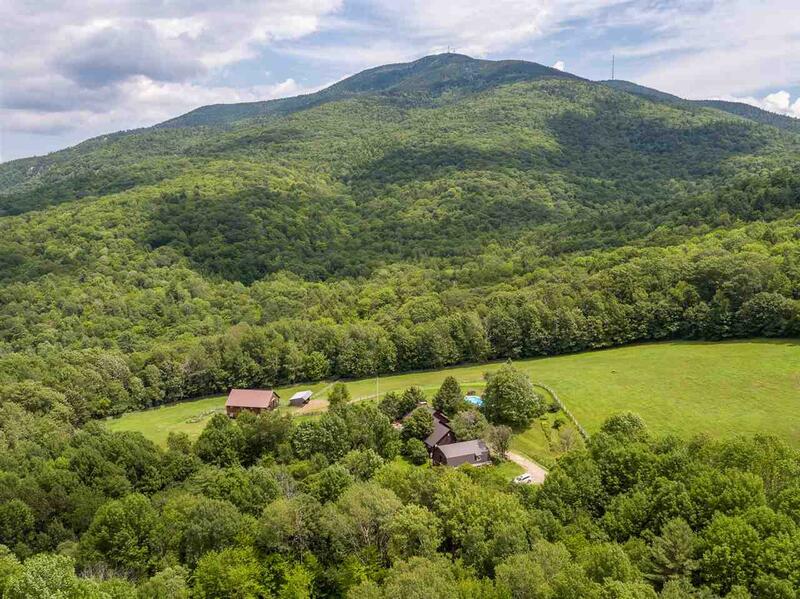 Ride directly from the farm, on your horse, or mountain bike, or hike on miles of amazing trails right to the top of the mountain. The spacious country kitchen has plenty of cabinets and a top of the line Hearthstone woodstove. There is a large wide pine floored living room w/cathedral ceiling and a gracious fireplace. The master bedroom has stunning views of the mountain with a private en-suite bathroom. Two other bedrooms are just off a cozy den with a Vermont Castings gas stove. The basement offers a large fitness/family room, and a spacious laundry room. The home is surrounded by cottage gardens, perennial beds, and hundreds of sunflowers which create a perfect mountain garden landscape. The horse barn is beautiful with a heated tack room, wash stall, six spacious matted stalls, 200amp power, & storage for 1,000+ bales of hay. The meadow has extensive split rail fencing, a huge run-in stall, and the additional equipment barn has 7 matted stalls w/power & water. Hop right on the VAST snowmobile trail system at the end of the driveway! 10 miles on the trails to GMHA, 20 miles to Okemo, 28 miles to Killington.